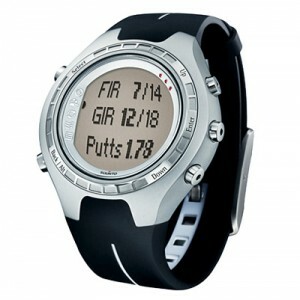 Suunto G6 watch is a golf analyzer, it was designed for golfers who want to improve their performance and consistency of their shots. It is a valuable tool to lower your handicap. Control your calls and analyze your weaknesses through the SGM software (Suunto Golf Manager). Not to mention the scores of maps, calculate your index, disability and possibilities of load path of the world (only 10 in the watch). 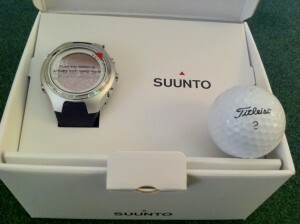 Suunto G6 enables you to practice and perfect your swing. After each swing, you can view the data movement performed, such as tempo, rhythm, backswing length wt the speed of the club head. Viewing these data will allow the identification of the best moves and the development of the memory of your muscles so you can repeat the right moves. After training, you can analyze the consistency of their game. 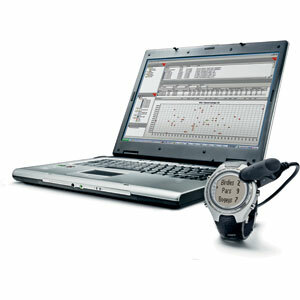 In Test mode, you must perform a series of shots with the same club to assess the consistency of your typing with the wrist computer. This same test measures the memory of your muscles as well as the degree of variation in your shots. Suunto G6 operates four types of play and gives you the name of the leader during the phase of the game so that players with different disabilities can compete against each other. During the game registers statistical data (shots on the fairway, GIR = green in regulation, ups and downs, in the bunker shots, putts and penalties) for better analysis of your weaknesses. You can save your ten favorite courses in the memory. The disability defined at the beginning of the game, the Suunto G6 will automatically calculate your handicap following the route so you can see your real score during the game.